Dr. Pamela Schultz is an environmental chemist and engineer with over 20 years of experience working in government, industry, and consulting. She obtained her undergraduate degree in chemistry from Providence College in 1992 and her master’s degree in Environmental Systems Engineering from Clemson University in 1996. She worked as a senior environmental engineer at Merck & Co., Inc., conducting contaminant fate and transport modeling and human health risk assessments for air permitting and remediation projects. 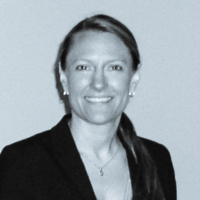 She later joined RTI International as a research environmental engineer, conducting multimedia fate and transport modeling to support U.S. EPA decision-making. In 2011, she received her PhD in Environmental Sciences and Engineering at the University of North Carolina, studying the behavior of dense non-aqueous liquids in soil and groundwater.